Incubus have announced that they’ll play live dates in the UK and Europe later this year. They’ll kick off the run of 16 shows at the Pukkelpop Festival in Belgium on August 17 and wrap up at the Bord Gais Energy Theatre in Dublin on September 11. Frontman Brandon Boyd, guitarist Mike Einziger, drummer Jose Pasillas II, keyboardist Chris Kilmore and bassist Ben Kenney, have lined up the tour in support of their latest album 8, which was released in April last year via Island Records. 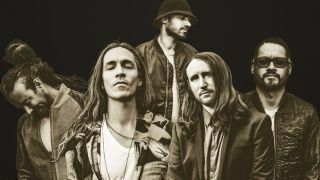 Incubus will head out on tour prior to their European dates across the US from later this month. Find a full list of dates below.